OK – so last time we talked about the planning you do in patio pots and container gardening to get the container ready to plant. Now let’s talk about planting. A few very smart people a few years back came up with the notion that we can do great planter design using the simple notion of thriller, filler and spiller. 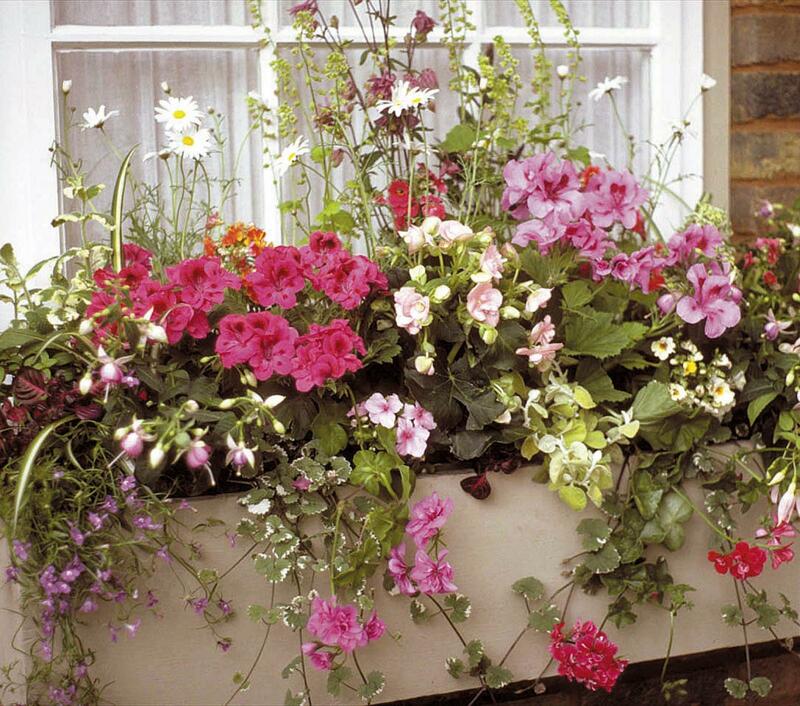 Some plants are great for tumbling over the edge of a container – the spiller plants. Some plants are big and bold and showy and should be the centre of attention – the thriller plants. Some plants are the right size to fit in-between the spillers and the thrillers and those are the fillers. What a great idea. We dig into this more with our friends from Proven Winners – who are very responsible for much of the current trends in patio plantings. Thrillers are plants with height that add drama and a vertical element to the combination. Thrillers are generally put either in the center or at the back of the container. Some examples are: Angelface® angelonia, Butterfly argyranthemum, Graceful Grasses®. Once you've chosen your Thriller, next start choosing your Filler varieties. Fillers tend to be more rounded plants and make the container look full. Some examples are Diamond Frost® euphorbia, Superbells® calibrachoa, Supertunia® petunia. Lastly, you add the Spillers. Some examples are Snowstorm® Giant Snowflake® bacopa, Snow Princess® lobularia, Sweet Caroline sweet potato vine. The PW designers show us how all this pulls together with a nifty patio planter for sunny spots they call Mulberry Point! Using an Angelonia for the showy Thriller – a petunia as Filler and Sweet Potato Vine as Spiller this is a beautiful example of how to plant a container! Find everything you need for stunning containers at your Landscape Ontario member garden centre. Locate members close to your home here.